Snuggle up to the warm comfort and classic style of the Skechers Keepsakes Hearth boot, new to Scorpio Shoes for the autumn season. Smooth leather-textured microfiber fabric upper in a low-calf height casual cool weather slip on boot with stitching and overlay accents. The Skechers Keepsakes includes the classic and much loved memory Foam insole and is Scotchguard® treated making the boots resistant to water and stains. Completing the Skechers Keepsakes stylish design is a strap accent on back shaft panel with knotted detail. 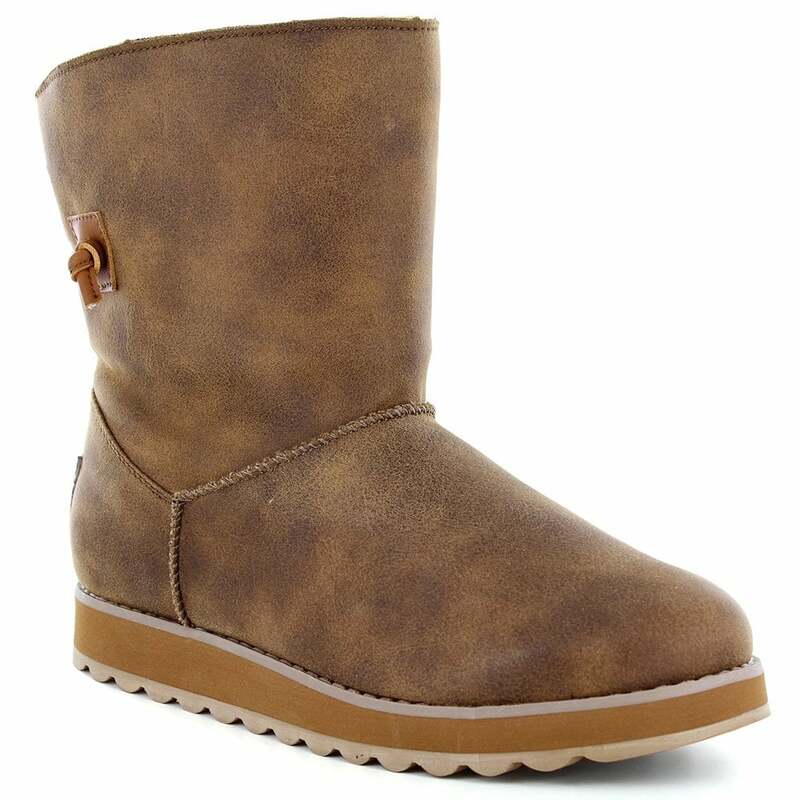 We expect these boots to be popular so grab a pair before they sell out at Scorpio Shoes!